So I was sick as a dog all weekend. Lovely. It's been a stressy time (house, election. election, house) and I respond to stress in an extremely helpful way: I get a migraine. 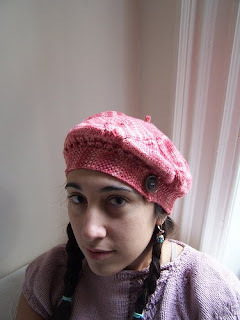 I had the same problems other knitters had, went up to Size 7 needles and still had to rip back and make the crown bigger, but whatever--I loved knitting this hat. I've been irrationally scared of colorwork, and this seemed like an easy way to dive into it (while also being a nice hat--Toaster will like it, yes? ), and it was fun! And easy! 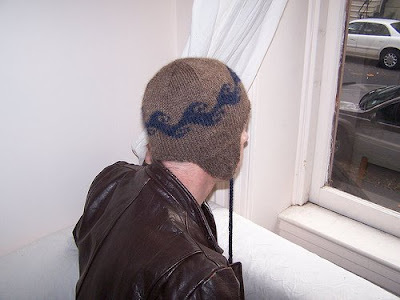 I'm planning on trying Eunny Jang's Venezia pullover as my big dive-all-the-way-in colorwork project. 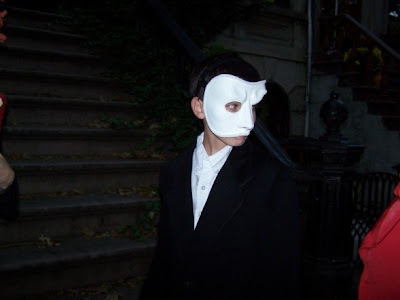 Which ought to take care of the whole fun and easy thing. Size 7 needles, Silver Moon Farms Merino Worsted in Rose. I like this yarn every bit as much as I thought I would. 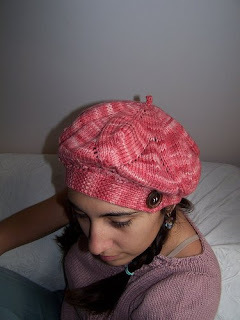 It knit up a little stiff, but relaxed immediately when swirled around in warm water a bit, and is still so squishy. And I love the hat. It's just this side of too-too cute, it's fun and I genuinely liked knitting the band (though it did take a while). So one would think that all this time to sit and knit would be great, hooray, what fun, surely your headache can't be that bad, can it? Who was Ziggy Stardust. 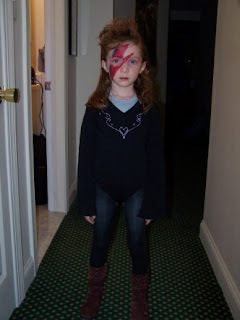 Aladdin Sane era, as one well-informed adult noted. 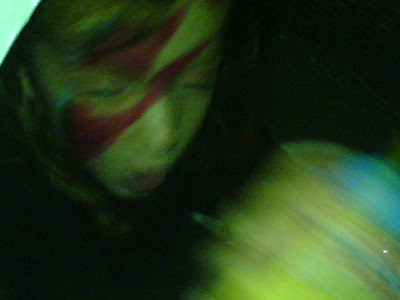 No kids got it--but whatever, she was Ziggy Stardust, she wanted to be Ziggy Stardust and she was and it was awesome. Or so I'm told. I hid at the back of the house, and half-heartedly tried to eat something. Saturday and Sunday were more of the same (although with Saturday evening's Train Ride of Nausea thrown in for good measure. Poor Indian food, I know it is not your fault) and today, well, I just now have managed to eat lunch.